The Amazon is home to many species of tropical rainforest plants that are used for medicinal purposes, for producing products, or as food for animals or humans. The diversity of the plant species in the Amazon rainforest is rivaled only by the diversity of the animal species in the Amazon. During the last ten years, scientists have discovered over 600 new plant species in the Amazon rainforest! It's estimated that there are thousands more just waiting to be discovered. Lianas - wicker baskets, furniture and ropes are produced from this climbing vine found winding around the foliage of Brazil's tropical rainforests. Bromeliads - distant relatives of the pineapple family. A plant that acts as a mini ecosystem for several species of insect and other small creatures. Saprophytes - found in the ground layer of the rainforest floor - fungi that decompose plant life that lands on the ground layer. Strangler Fig - this tree begins to grow from a fig tree in the canopy and then shoots roots down to the floor of the forest to take permanent root. It uses a host tree to stabilize itself and eventually kills the host tree as it competes for soil nutrients and light. 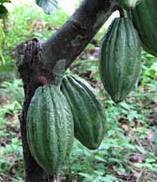 The cocoa tree is found in Brazil, the Ivory Coast, Nigeria, and Ghana. Virtually every part of the tree can be used in natural remedies for treating headaches, dry lips and skin, coughs, and burns to name a few. Chocolate produced from the cocoa beans is said to contain polyphenols, which help to reduce blood pressure and prevent heart disease. The leaves, seeds, bark, and resin of the kapok tree is used to treat maladies such as dysentery, fever, kidney disease, and asthma. This tree also produces several hundred to several thousand fruits at any given time, so it is an important food source as well as having medicinal properties. Kapok seeds also contain a fiber that can be used as filling for hypoallergenic pillows, upholstery and toys, and the oil from the seeds can be used as a soap. Clavillia is a plant, but is classified as a perennial herb. It's used to treat medical conditions resulting from bacteria, viruses, parasites, and fungi. The wild yam is also found in Brazil's Amazon rainforest. The stem and roots of this plant contain diosgenin, a chemical used as natural birth control and to treat menopausal symptoms. Interestingly, the diosgenin found in wild yams is one of the most important components of modern day birth control. The bark of this tree contains an alkaloid called quinidine, which is used today to treat muscle cramps, headaches, and to regulate irregular heart rhythms. Historical accounts indicate that the leaves of this tree were once used to treat fevers. 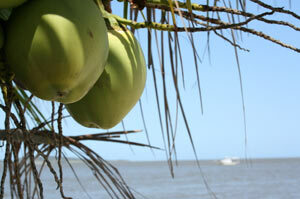 Indigenous people of Brazil have used the contents of the roots of this tree to help heal wounds. 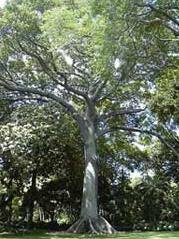 The leaves of a trumpet tree can reduce inflammation in the form of a poultice or boiled down into a tea as a treatment for infections of the respiratory system. Brazilians take Suma root to increase blood circulation, regulate blood sugar, increase a healthy appetite, support memory, and to boost the immune system so the body can fight disease more successfully. A healthy side effect of Suma root is that the saponins contained within help to lower blood cholesterol levels. One of the most beautiful tropical rainforest plants in Brazil is the orchid. The orchid family boasts nearly 20,000 species! They thrive in humid, moist conditions and will grow on trees rather than on the ground in the rainforest. Helicona flowers are also referred to as lobster-claw flowers because of their unique shape. Colors range from greenish-yellow to bright red and gold, just to name a few color patterns of this flower. There are over 200 species of this very popular decorative garden plant. The candle bush flower is a stunningly bright yellow flower that resembles a candle tip shape. They're perfect for decorative purposes and are easy to grow outside of the rainforest. There are several edible plants found in the rainforests of Brazil in addition to those used for medicinal and decorative purposes. This list is by no means comprehensive, but it gives you a good idea of what types of edible plants come from this part of the world. The Amazon hosts many varieties, colors, types, sizes, and species of tropical rainforest plants. It's estimated that the rainforests in Brazil contain around 1,500 different species of plant life. There are many yet to be discovered too!